Please welcome Shane Berryhill to The Qwillery as part of the Ragnarok Holiday Grand Tour. Bad Mojo, Shane's latest novel, was published on July 28th by Ragnarok Publications. My own personal reaction was an indifferent “Meh.” It wasn’t because the trailer failed to look cool, or that I have problems with Claymore lightsabers and/or multicultural stormtroopers. It did, and I don’t (As a Star Wars fan, I’m embarrassed the latter is even at issue). 1) I can never experience Star Wars again for the first time (And when I say ‘Star Wars’ here, I mean the original story/trilogy). No matter how good JJ Abrams’ film might prove to be, it will never be my first, best experience with Star Wars. I can’t go back in time to when I was a ten-year-old fourth grader (one who hadn’t yet dismissed the possibility of storybook magic existing in the real world—not entirely) jealous that my cousin of similar age was getting to see Return of the Jedi on what—as far as I can recall—was a then unheard of Wednesday night “advance” opening, whereas I would have to wait another entire TWO DAYS to watch it with my parents the following Friday night. 2) (Now, here, at last, to get around to the point of this little bloggercise...) As someone who engages in the craft of writing/storytelling as a paying hobby (and hopefully, someday, as a full-time gig), I’ve found that it has become harder and harder to impress me in regard thereto. To elaborate, it’s the potential peril of the pro writer to lose his or her sense of awe for the very thing that made him or her want to become a writer in the first place. In studying the craft—if that study is being done correctly—one becomes a sophisticate in the tricks of the trade. You learn what works, what doesn’t, and how to achieve the former while avoiding the latter. As a consequence, when you pick up a book or watch a movie, nine times out of ten, you’re able to see the end coming early on in the course of the narrative. Impossible, you say? I’m exaggerating to drive home a point? Well, yes. To say she was P.O.ed would’ve been an understatement. When “discussing” this later, she remarked how I had a terrible habit of ruining movies for her. After considering the matter for a moment, I realized she was correct. I did indeed frequently massacre the plots of films for her—films neither of us had seen. I began ponder if there was more to my spoilerific ways than gleeful, jerkwad satisfaction. After a little conscious thought on the matter, I came to the conclusion there was. As a writer, I was seeing the groundwork of story I was so familiar with—picking up on all the little clues, foreshadowing, and red herrings writers use to misdirect their audience while at the same time laying the framework of story that has everything adding up at the end (or not adding up, whichever is intended by the author). With this revelation, I recalled an interview with a popular singer-songwriter I’d heard. They talked about how they could no longer simply listen to music. When they heard a song, they couldn’t help but dissect it in their minds, turning it inside-out, examining each individual note and lyric on its own merit and how they combined to make up the collective whole. “That’s me, now,” I said (Well, no, I probably didn’t. But I thought as much—or at least something along those lines). But on the tail of any initial satisfaction I may have felt over this epiphany rode those awful bedfellows, sadness and regret. All the films, genre novels, and comics I so enjoyed—hell, even the, ahem, “literature,” I read— would henceforth now and forever hold a bitter tang of cognizance along with the sweet suspension of disbelief they brought me. Ergo, who are John Carter and Harry Dresden but the hero wearing two faces out of the thousands he/she owns? What is Frazen’s “Freedom” but a reworking of Anna Karenina—or the Vulgate Cycle before it? This “seeing how the magician does his tricks” is the risk every would-be pro writer runs. So, to those of you attempting to take your writing to the next level, be warned: you do so at your own peril. But it’s not all doom and gloom for the pro writer and his or her literary loves. It simply means, to paraphrase Kevin Smith, now that you have grown, so has your “cup.” You’ll find it damn near impossible to be knocked off your feet by a book or film. But, oh, when one does bring enough thunder to bowl you over in all your writer’s sophistication, it will do so like never before. 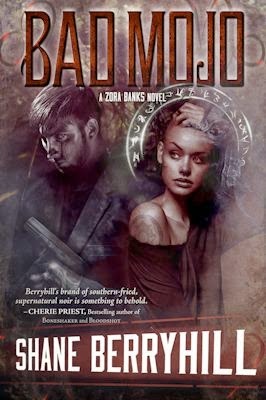 My new novel from Ragnarok Publications—BAD MOJO—may or may not take the urban fantasy genre to that level, admittedly. But, in all humility, I think you writers out there will find yourselves thinking things like: So that’s how he pulled off that scene. And for you reader purists, sit back and enjoy the supernatural, Southern ride—it’s going to be one for the books! PS – Star Wars, for-evah! Shane Berryhill is a novelist and comic book writer. His work has been praised by Publishers Weekly, NPR, NBC Today.com, Wired Magazine, Horror World, and others. He's been a guest and speaker at events ranging from the National Council of English Teachers conference to San Diego Comic Con. Bad Mojo is Shane's first urban fantasy novel featuring Zora Banks. 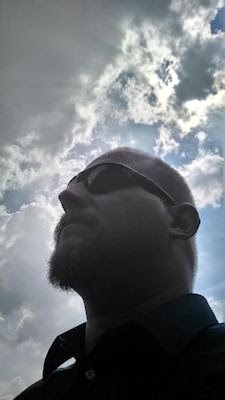 He is also the author of The Adventures of Chance Fortune series from Tor, Dragon Island, The Long Silent Night (A Jack Frost Mystery), various short stories (one in Kaiju Rising: Age of Monsters), and the comic book series, Sherwood, TX. Shane Berryhill lives with his wife, Lesley, in Chattanooga, Tennessee.